The Witch Hammer features asymmetrical clipping, so it sounds otherworldly on its own and also performs brilliantly when stacked with other overdrive pedals. 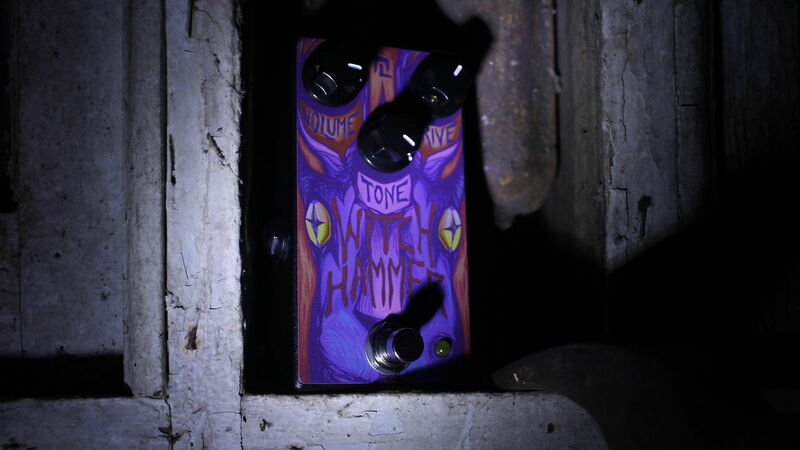 The Witch Hammer circuit is designed with an extended low-end range, brandishing a malevolent kick capable of rattling the runes and stones off your altar. The pedal possesses a wonderfully refined side too. The Witch Hammer cleans up quite nicely and happily functions as a transparent clean boost pedal that will help you cut through the mix. If you’re looking for a pedal that can perform double duty – everything from transparent overdrive to authoritative snarling that can tear the pages from Malleus Maleficarum itself and burn them at your feet – the Witch Hammer will lend mystical new power to your craft. Based on purchase price of $169 at 10% APR for 12 months. Excludes tax and shipping fees, to be calculated at checkout. Rates range from 10-30% APR. Choose from 3, 6, or 12 monthly payments. Select Affirm at checkout to get started.